The poet, perhaps, says it best. 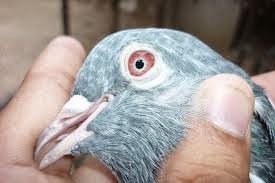 Would you do this kind of thing for someone you loved, or just for a pigeon? For some this act would seem gruesome, but I shed a tear for the gentle mercy in the gesture, coupled with this husband’s immediate and heroic act—without thought or delay—on behalf of his wife’s ease. Many would have spirited her away with some natural law explanation, as any rational person would do. Am I sentimental, or is there a powerful depth to this love poem—a kiss of divinity breaking into quotidian routines? is when I realized I used to merely love my wife. Now I would kill for her. Mercy is a piteous word, really. So many eschew pity, as if it were a sin to need pity, to be pity-full. But Mercy comes from old French, merci—as in thank you. Oh, thank you. Recently a dear friend, with whom I have shared both affection and a medical bond, died. We would call each other “lung buddies,” because we both had lung disease. We did everything we were told to do, took our meds, and ran ourselves to panting on the treadmills, because exercise strengthens any organ. Her condition finally took her life. Just before she died she told me, in a passionate and lucid way, that she wanted to die and was ready. She wasn’t a lingering person in life, so in death she didn’t want to linger and drag along. Me either! What if someone feels called, moved, motivated to choose death? What then? Some religious folks think God is against this, that it's a sin, called suicide. This idea gives people little choice but to blame God for their circumstances: Why doesn’t God take me? That would be the thing a compassionate God would do, right? Maybe God doesn’t take anyone, like a body snatcher. Maybe God doesn’t take as much control as we’d like. Maybe God defines life by its quality not its quantity, though "length of days" is a good in scripture. And too, what if death is God’s idea? What if the freedom many believe to be granted by a Creator God really is free? Didn’t Jesus choose death? Freedom is the hardest darn gift ever given. Damn! Still, it is amazingly respectful; it makes me love this Godde more and more. Personally, I’d like to take advantage of this great gift. I’d like the chance to choose death without guilt or shame, and with hope, while I’m still in state of mind, heart and soul which is sane, healthy, alert, that is, not distorted by physical pain, mental illness, or being under the influence of addictive substance. We have assisted living. Why not assisted dying? I mean for real, and legal. Statistics show that in Oregon, where assisted death is legal, the option is not exercised frequently. The feared rash of “suicides” just didn’t happen. Hospice care assists death, but is it enough? I know this is complex, but if we don’t have serious conversations about it in families, in our churches, and at the level of public discourse, death remains enemy. I know when I bring this up with my children they shrink. I understand, yet I wish I’d had the chance for such a conversation with my parents. IN THE MEANTIME............. Here is a lovely way to celebrate life even in death, and while still being realistic about the pains and limitations in our celebrated freedom of life: flor y canto, flower and song. The Amerindian ancients looked to BEAUTY as a reflection of the divine. 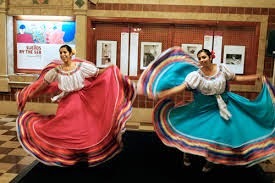 Their intuition survived in the Spanish phrase flor y canto and in the tradition of fiesta. Beauty signified the blessing of the divine and also was used to communicate back with the Sacred. They arrived at divine truth, not through linear abstractions, but in an aesthetic praxis. They trusted in the hidden power emanating from flor y canto. Social justice and ethical conduct proceeded from the practice. First things first. The Eucharistic banquet is our flor y canto—a little stiff and pale in comparison, but we're anglos. This is what we can learn from the U.S. Hispanic community. A people whose lives have often been marred by great suffering, currently in the immigration crisis, find God in a party—first. They don’t sit down to deliberate doctrine and form a plan, or write wordy blogs full of questions (see above); they form the Beautiful and live life in the subjunctive mode—as if. It’s their spirituality, their theology. Mi casa, tu casa first—telling stories at table and getting to know each other comes first. Maybe we have things backwards? Maybe we should throw a celebrative coffee hour before we hit the pews, right in the narthex? Yet, maybe too, each people and culture has its own mystical ways to celebrate God EVERYWHERE EVERYONE ANYWAY. 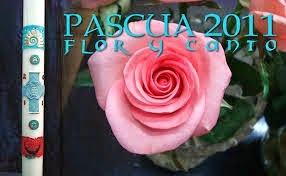 But I wouldn’t mind a little flor y canto as I die. The poet employs her quatrain form, not for a simple song of praise, but to assert a balance of power, a delicate exchange of breath for Life: God-in-Soul/Soul-in God. Perhaps it's significant that this is one of the last poems Emily Brontë wrote before the creative upsurge of Wuthering Heights, her only and great novel, published in 1847. In her poem she is praising an immortal deity, while preparing for her own immortal life as a writer. It's said that Emily Dickinson chose this poem to be read at her funeral. It's a pleasing thought. 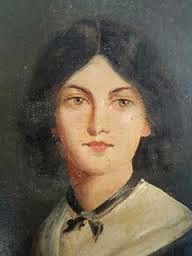 Emily Brontë had a good deal in common with a sister poet, Emily Dickinson: their solitude and independence, their hymn-like metres, the pointed use of the m-dash—like this—and of course language as brisk and crystalline as a surgeon’s cut. Both women thought big on a miniature scale. The poem is as bold as its title suggests. I love the massing of verbs for the Spirit: animate, pervade, brood, change, sustain, dissolve, create, and rear. Such a résumé! We live now, according to the ancient desert sages, in the era of the Spirit’s dominance; that is, a time when we awaken to and recognize the presence and work of God Spirit. God Creator and God Christ enjoyed each a thousand. Now we notice and study pneumatology with more care. Pneumatology is the study of God Spirit. It’s amazing what we have attributed to the first two persons of the Trinity that is likely the work of Person #3. One obvious example is how different cultures creatively appropriate religion to fit their languages, customs and circumstances. Think Spirituals or hispanic devotions to Mary. Is Jesus God son or Mary’s itty-bitty baby? Both, no? We say these are interpretive distortions, but scholars wonder if these are the work of God Spirit. Brontë’s verbs “creates” and “rears” are parental terms. Perhaps the poet is suggesting that her deity is motherly as well as fatherly, enfolding the qualities of the mother she had lost in early childhood into the Godhead. Poets like Emily Brontё, under-mothered, under-schooled, make their own nurturance. This poem is honest and brave and brimming with life. For someone so closely acquainted with death and loss she is terrifyingly on the side of life. As I - Undying Life- have power in Thee! 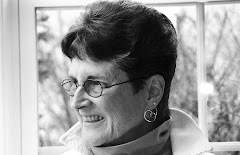 While writing my memoir, I connected with my women lunch buddies at Yale Divinity School, my God-school. We were mostly commuters, somewhere in the middle of our lives, and of different denominations. We majored in lunch. It wasn’t for the food; it was for the spiritual food of this small company of women, sharing gallows humor about the church, and perfecting the fine spiritual art of the lament while honing our debating skills on arguments about each one’s favorite heresy. 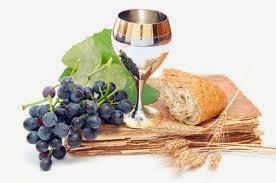 Excited by all the new knowledge we were exposed too, and being fools about how much we really understood, we weren't foolish to celebrate it in this informal way—a holy communion that felt just as holy as the altar one. Beneath our ignorance and hilarity lurked truth: the late 70s was a crucial time for women in the churches. Doors were opening wider than before to welcome female flesh as ordained presiders at the altar and preachers from pulpits. We weren’t sure who could fit through. Oh, it was so hard to leave the refectory and trudge back down halls, and more halls, to get to the next class, or to the library where we read, and read, and read—alone. I loved these women as much as I loved God—more because they gave hugs. When I found them all years after we left our seminary, we swapped memories. I asked each one the same question: Which big Christian idea is the hardest for you to believe? Incarnation won. It’s crazy to think of God becoming human. Or was it that humanity, chiefly of the masculine sort, inflated to fill big shoes? Incarnation seemed too demeaning for a big God, and yet, too impossible grand for humanity, even those at the top of the food chain. Is there a narrowing, a claustrophobic squeeze into which divinity is willing, for the sake of love, to enter? Do we suppose that our humanity, chiefly of the masculine sort, inflates to become God? Although Incarnation is more common in world religions, it’s easier for Christians to swallow resurrection, the idea for which we cheer mightily and sing plethoras of alleluias in or out of Easter season. I find Incarnation easier to swallow than Resurrection, possibly because it feels more intimate, and possibly because I like to think that my own fleshly womb has participated in Creation’s unfolding, and contributed its share of labor and suffering. This could be a control issue of course, or it could be simply a wonderment. God knows, having children transformed my life and still does. "All healthy religion shows you what to do with your pain. Great religion shows you what to do with the absurd, the tragic, the nonsensical, the unjust. . . . Unless we can find a meaning for human suffering, that God is somehow in it, and can even use it for good, humanity is in major trouble." A God who comes into human flesh as in Jesus Christ, and me too, help me live through suffering—not without much kvetching and lament, but with some assurance that the God in my flesh suffers with me. Incarnational spirituality sacralizes my smallness and my wounds, and resurrection spirituality gives me an out with hope. Whatever your preferences, we all must face the truth of our condition and its limitations, the sheer humility of the flesh with all its foolishness. I must admit, however, that, foolishness and preferences aside, both the Christmas idea of Incarnation and the Easter idea of Resurrection merge divinity with humanity in such inextricably lovely ways that either way we, what?, are not alone—ever.